Wendi Schrock runs into the Wayne County Sports Hall of Fame on her own two legs, which carried her to All-American status at Walsh University. At Walsh, Schrock won four letters in both cross country and track, and became the first female athlete in school history to earn All-American honors in two sports in the same year, a feat she accomplished in both 1993 and 1994, years in which she was also named Walsh Female Athlete of the Year. She was also an Academic All-American in both sports both seasons, and was an Academic All-American in cross country as a sophomore as well. 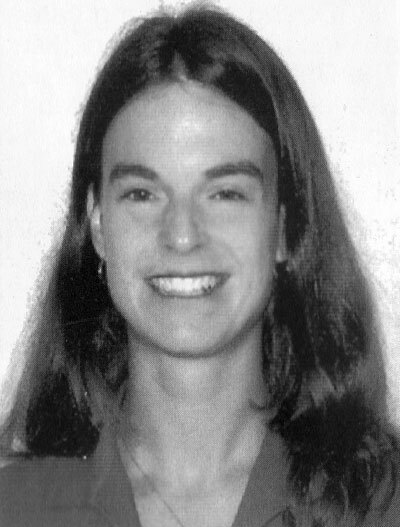 In 1993, Schrock was named to the cross country All-American squad after finishing 11th at the NAIA national race. That year, she won the NAIA district race. In track, Schrock was sixth at the 1993 NAIA national meet in the 10,000-meter run. In 1994, she again made the elite cross country team, placing 10th at nationals. In track, Schrock was a two-time top 10 placer at nationals, finishing sixth in the 10,000-meter run and ninth in the 5,000-meter run. Upon graduation, she was the Walsh record-holder in the 10,000. At Smithville High School, Schrock ran for her father, Keith, a 1996 Wayne County Sports Hall of Fame inductee. While earning four track letters, she was a three-time Wayne County Athletic League all-star, a state qualifier in 1988, and set the school record in the 1,600. Schrock was also a three-year letterwinner in basketball and a four-year letterwinner and WCAL all-star in volleyball. In her four years, Smithville never lost a league volleyball match.